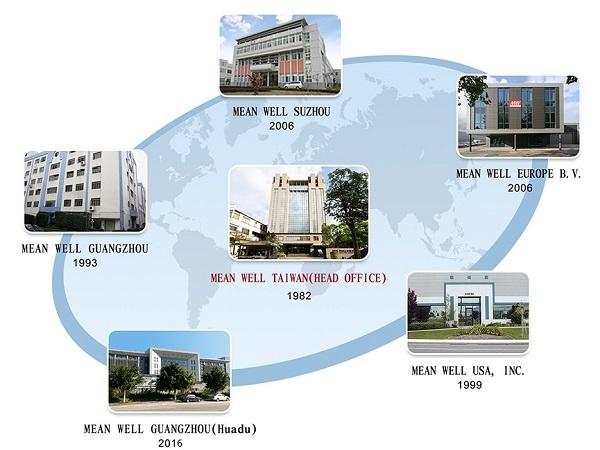 Founded in 1982, MEAN WELL is the leading brand of standard power supply in the world. Ranking the 3rd in global DC output power supply (2018 MTC report), and the 2nd in LED driver (2017 IHS report) in the world, MEAN WELL is a well-known manufacturer dedicated to standard power supply products sold with own brand name. With 3,000 employees located at its global headquarters in New Taipei Industrial Park, Taiwan, branches and sales offices at Guangzhou, Shenzhen, Suzhou in China, California USA, and Netherlands in the EU, four advanced production bases in New Taipei City (Taiwan) and Tianhe District and Huadu District in Guangzhou, Suzhou City in China, it generates a combined revenue of USD 927 million (TWD 27.8 billion) in 2017. KNX is the world standard for residential and building control, offering many new products for visualization and building automation systems on the market. MEAN WELL, the leading standard power supply manufacturer, has been promoting KNX building automation control technology for a green and sustainable society since the launch of the first KNX-20E standard power supply with KNX technology standard in 2017 and has continuously launched KNX related products that meet international standards. Such as KAA-8R universal switch actuator and KAA-4R4V dimming actuator, depending on the application they are suitable with MEAN WELL various power supplies and LED driver. Based on the KNX architecture, KNX system engineers can easily program through the ETS system as needed during planning or use So far, MEAN WELL continues to improve product integrity to meet the needs of end customers and system operators. All products comply with global safety standards and EMC/EMI certifications. Customers neither have to wait for the endless verification time nor pay for expensive certification fees, which could shorten the launch schedule and enhance the market competency. In addition, with than 30 years power supplies experiences, MEAN WELL FAE team is ready to provide their professional and technical support. You are more than welcome to contact us!